Welcome to Frostproof Mobile Village! 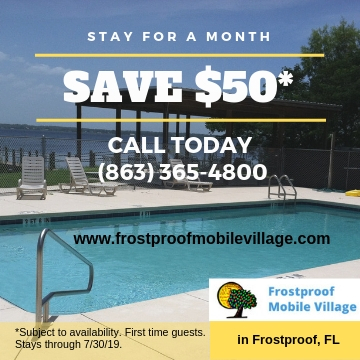 Frostproof Mobile Village (formerly, Swim & Fish Lakefront Resort), is the new and updated mobile home and RV park in Frostproof, Florida – “The Friendly City”. We like to think of ourselves as the friendliest mobile home and RV park in the “Friendly City” of Frostproof, if not all of Polk County. Frostproof Mobile Village is located on beautiful Lake Clinch known for its fishing. Lake Clinch and the numerous area lakes also play host to unlimited water sports, including: waterskiing, kayaking, stand up paddling, and swimming. Enjoy the peacefulness of the lake from our lakefront pavilion. 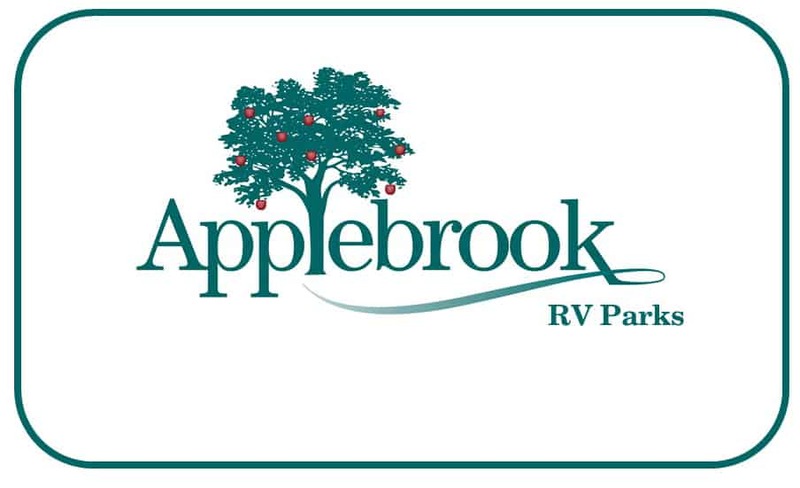 This 55+ mobile home and RV park also has great amenities and an active community. Some of the many features at this Central Florida mobile home park: Two clubhouses with full kitchen facilities, a lakeside heated swimming pool, hot tub, new dock and marina on Lake Clinch, shuffleboard and horseshoe courts, and much, much more. With on-site maintenance and management staff, you don’t have to worry about yard work as a full-time mobile home resident, part-time mobile home resident or visiting as a guest with your RV. There are also sites for your park model. Frostproof, Florida is a small town living which is centrally located between Orlando and Tampa. Frostproof Mobile Village is within easy driving distance to all of the Orlando attractions, Tampa, shopping, Orlando airport, medical facilities, antique emporiums, flea markets, dining, and sporting venues. Enjoy all that central Florida has to offer without the busy highways and noise. Call us today at (863) 635-4800 to find out how you can make this friendly community your new home! This video showcases our campground and RV parks located in Florida and New Jersey, as well as our RV dealership, Cypress RV Sales, which can be found located just outside Cypress Campground & RV Park in Winter Haven, FL. Frostproof Mobile Village, is the new and updated mobile home and RV park in Frostproof, Florida – “The Friendly City”.